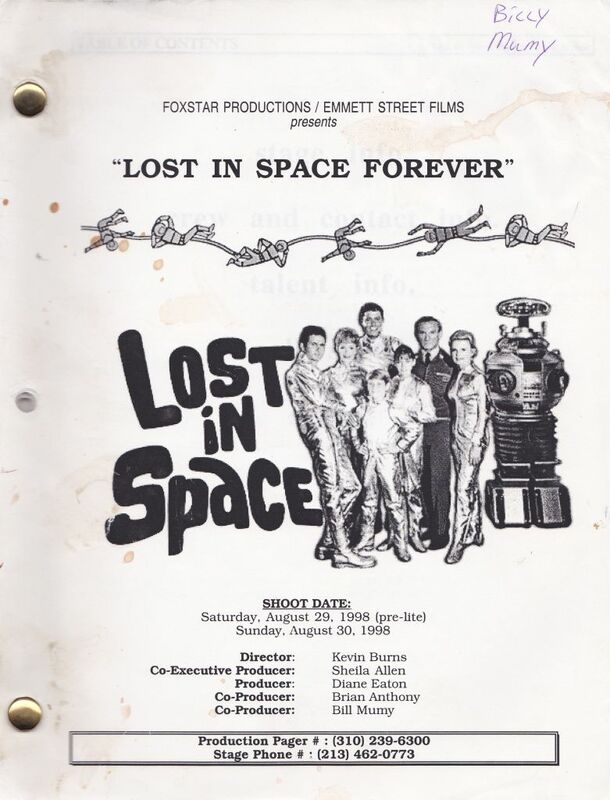 LOST IN SPACE FOREVER personal script - Here is Bill Mumy's original/personal copy of the Foxstar Productions scipt, circa 1998. Includes: stage info, crew and contact info, talent info, call sheets, and 33pg script. Has some wear/etc. from use - AEX. Obtained from Mumy himself (note - script is not autographed).